There were many different types of medical works produced in China, which can be classified according to various criteria. One is by content. Some medical works were general treatises that were meant to be comprehensive summaries of all the important theories of treatment. These included books that provided commentaries and explanations of the ancient medical classics. There were also specialized works on certain types of therapies such as acupuncture and drugs. Many works also focused on specific kinds of illnesses or medical problems. Among the various categories of diseases are eye diseases, skin diseases, diseases of children, and febrile diseases. The Treatise on Successful Childbirth is one of many specialized works on the special medical needs of women. 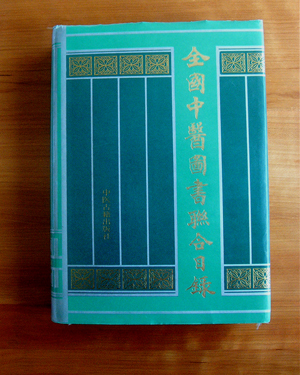 Union Catalog of Chinese Medical Books in Chinese Libraries. Published in 1991, the text lists more than 12,000 titles of traditional medical texts produced before the early twentieth century. Another way of thinking about medical books is to look at the identity of the author, his intended audience, and how the author intended the book to be used (with a few notable exceptions, the surviving Chinese medical texts written before the twentieth century were all authored by men). Using these criteria, we can divide medical books into three main categories: books compiled by doctors to publicize their own theories and build their own reputations, books compiled by doctors as medical textbooks or study guides, and books compiled by medical amateurs who wanted to disseminate useful medical knowledge to other amateurs. Treatise on Successful Childbirth falls into the third category. Jizhai was not a doctor, and he wrote his book to teach ordinary people how to manage childbirth on their own. Furthermore, by using a pseudonym, Jizhai wanted to show that he was not looking for any personal professional praise. Instead, he only wanted to use his knowledge and experience to teach people how to avoid difficult childbirth.